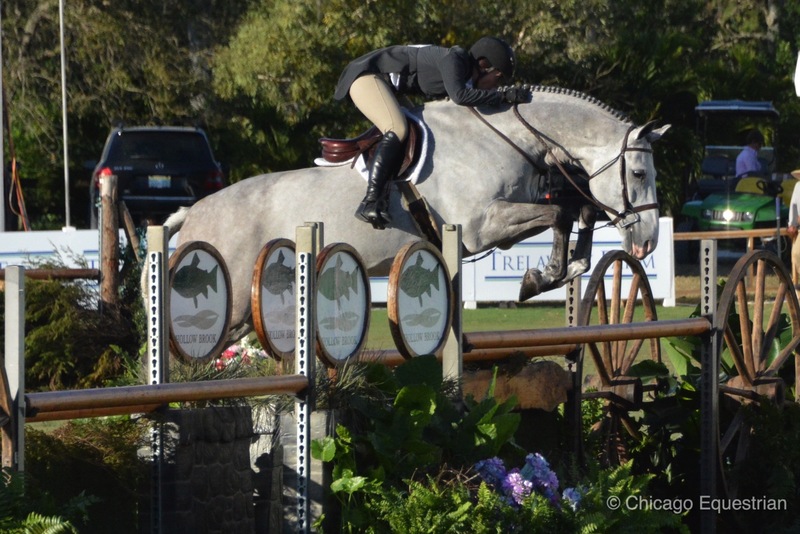 Meagan Murray-Tenuta rode Rebecca Price's Editorial to the top of the list in the Classic Round of the $50,000 USHJA International Hunter Derby. 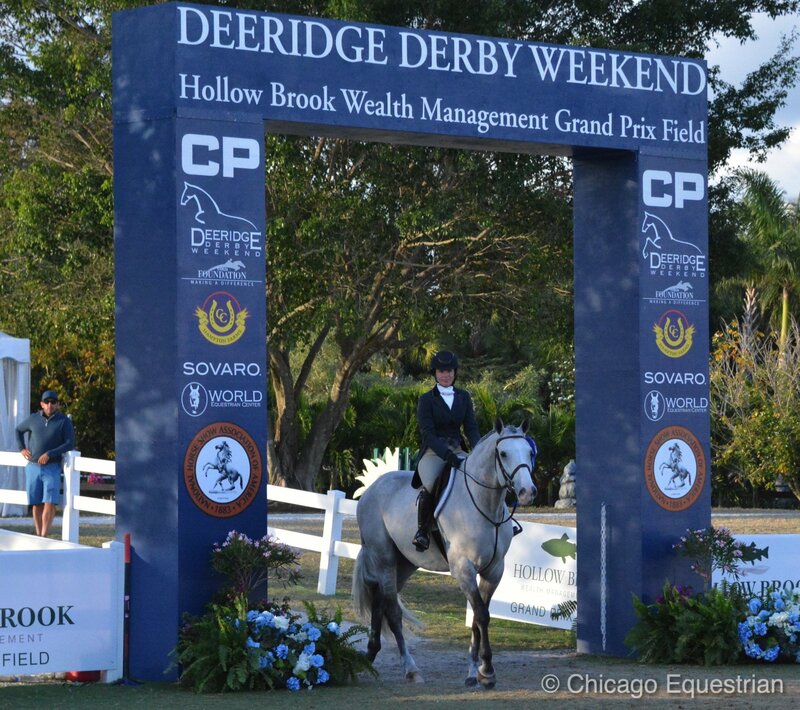 Wellington, FL – March 4, 2017 – Meagan Murray-Tenuta and Rebecca Price’s Editorial made front page news as they took the top spot in the classic round of the $50,000 USHJA International Hunter Derby presented by the World Equestrian Center held at the gorgeous Deeridge Farm. The pair earned scores of 84.750 with 4 high options and 88.000 + 4 from the panel of judges to lead the pack of 40 entries with a total of 180.750. Editorial navigated all four high options which helped take the lead in the classic round. Kristy Herrera and Jennifer Alfano’s Candid finished in a close second with a score of 180 with scores of 89 and a 91 but no high options. Victoria Colvin and Cuba also earned a 180 and finished in third, with panel one judges’ scores breaking the tie. Colvin scored 88.500 + 2 high options and 87.500 + 2. Colvin and Cuba won the Welcome Stake on Friday with Herrera and Candid in second and Editorial and Murray-Tenuta in fourth. These top combinations should make for an exciting Handy round on Sunday. Murray-Tenuta of Highland Park, Illinois, found the 10-year old Holsteiner in a field in Vancouver about a year and a half ago and was impressed by his talent from the start. She believed the big grey, affectionately known as “Ned”, would eventually make a nice amateur horse for Price, until he started jumping higher and harder and Price turned the reins over to Murray-Tenuta. Price wasn’t able to be at the derby and was back home in Denver when she heard the news of the win. “I can be a nervous wreck and I'm glad that I was far enough away that my nervous energy didn't come close to Meagan- or Ned for that matter,” laughed Price. “He loved the field,” said Murray-Tenuta, “[The grass] has great traction for him to keep springing higher and higher and higher. He got more confident as we went for sure." Murray-Tenuta has mileage riding on grass, galloping to second place in the handy round in Chicago Hunter Derby this past fall and finishing fourth overall. In addition to derbies, the horse also won the High Performance Handy and the Stake Class during WEF 7 to earn the Reserve Championship. 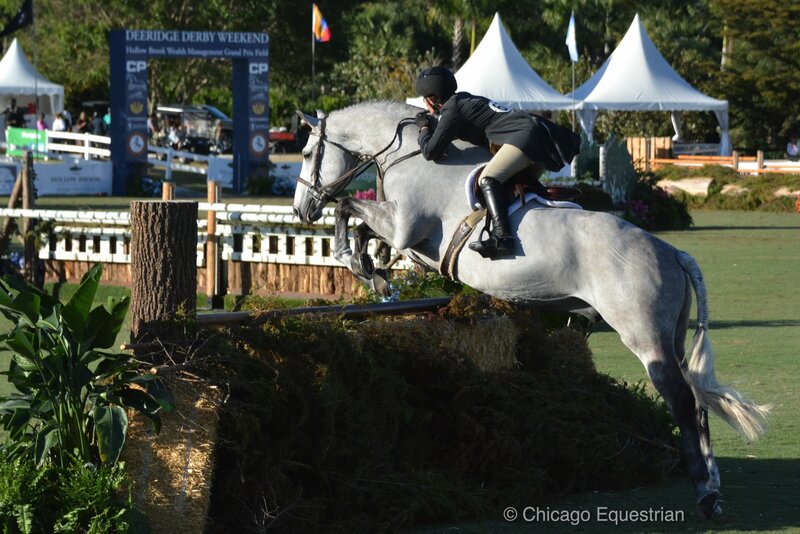 Murray-Tenuta has also ridden in several of the USHJA International Derby Finals so is no stranger to pressure. She has been riding since she could walk and in 2011, was awarded the USHJA emerging professional award. Price and Murray-Tenuta have had an exciting year in addition to today’s win. 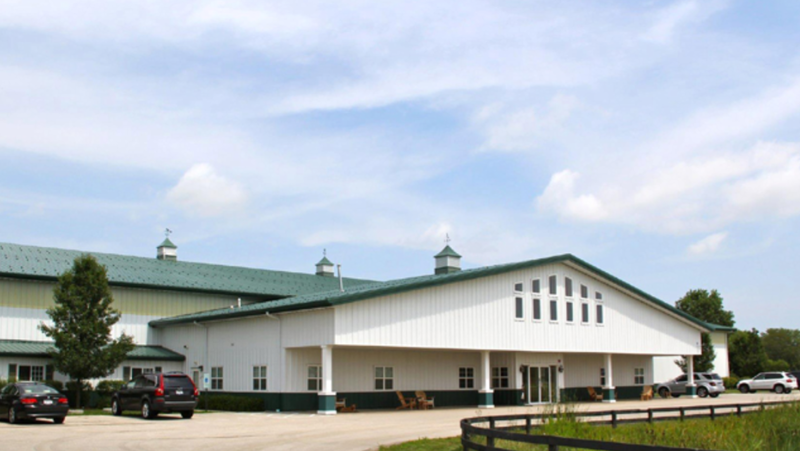 They recently purchased a new farm in Zion, Illinois for their Buena Vista Farm business and now call the 62 stall, 42-acre parcel ‘home’. The top 24 riders from Saturday’s classic round will compete in the handy round on Sunday, March 5th at 2:00 pm in the Hollow Brook Wealth Management Grand Prix Ring on the 300 acre Wellington farm owned by the Jacobs family. This is the inaugural Deeridge Derby Weekend, providing exhibitors with a special stand-alone event, which includes a Pony Hunter Derby, a 3’ Derby, a $5,000 International Hunter Derby Welcome Stake, the Classic Champions Young Jumpers and two Jumper Derbies throughout the five day event. The signature two-story Deeridge Derby Club offers a world-class VIP dining experience sponsored by the National Horse Show Association and the USHJA Foundation. For more information on the event, visit their website at www.deeridgefarm.com.